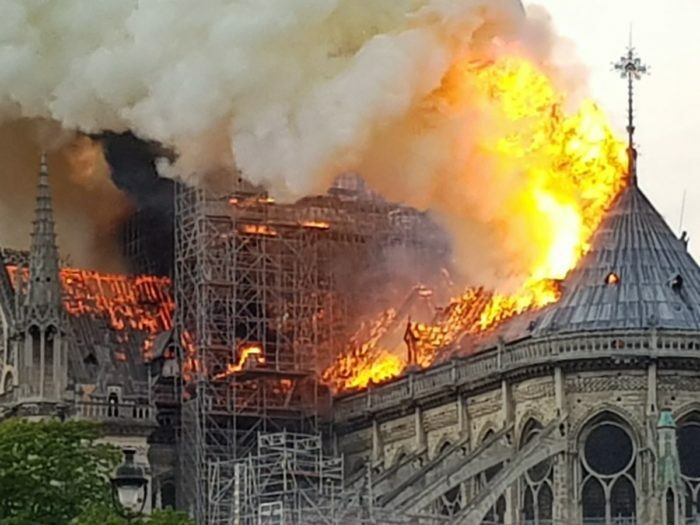 President Muhammadu Buhari has condoled with President Emmanuel Macron and all French citizens over the tragic fire incident that gutted parts of the Notre Dame Cathedral in Paris. The Nigerian leader extended his sympathy to Christians in Nigeria and all over the world following the partial destruction of the historical Cathedral, which houses different valuable items held dear by worshippers. President Buhari and Nigerians joined the world in shock and disbelief as the highly revered and historic church building went up in flames on Monday, praying that God will provide resources and capacity for full restoration. As one of UNESCO’s World Heritage Sites, a central place of worship for Christians and symbol of France, the President called for joint faith in prayers for the country and its citizens.